Amira Ahmed is a Swedish Model with a Somali Dad and Filipino mother. She is one of America's new crushes. Ahmed has modeled for the most exquisite U.S. fashion and beauty houses including GAP, L'oreal and Forever 21. She is also a surfer/snowboarder and was discovered at a fast food restaurant where she worked. 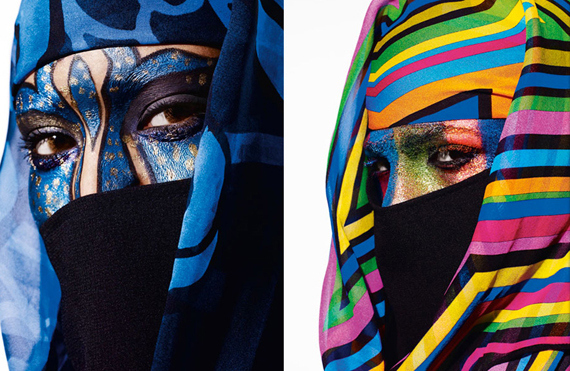 Dazed & Confused by Rankin and make up by Ayami Nishimura.